Although we are thick in the middle of winter and the snow is still falling, spring will soon be on its way and that means spring cleaning! Spring cleaning may not be the most fun, but it helps to clear up clutter and lets you and your family breathe a little lighter. 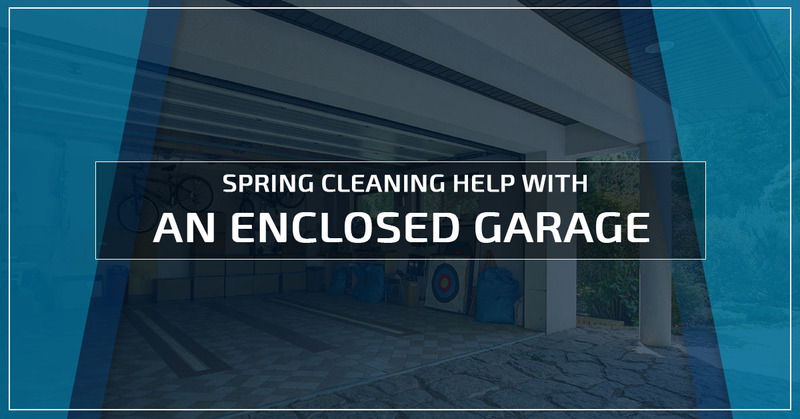 This spring, you may want to consider investing in an enclosed metal garage to help you complete all your spring cleaning tasks. At Wholesale Direct Carports of Arkansas, we have the perfect custom metal garage to help with spring cleaning and all of your year-round storage needs. Here are just a few of the ways that an enclosed garage can help you this spring. Enclosed garages are perfect to help you declutter your house. You can use a detached garage to store all of your seasonal decorations, like your Christmas tree and organized totes for each holiday. This will clear up space in the closet where they are currently stored and can help you organize everything. You can also use your enclosed garage to store special things, like your fine china, wedding dress, or your jersey collection, that you want to keep but fear may be damaged inside the house. When you do your spring cleaning, remember that anything that you haven’t used in a year should be donated, thrown away, or packed up and stored. If your home is full of a large family, or you are a collector, an enclosed garage is a perfect way to organize your life. Whether you are saving hand-me-downs and baby furniture for the next one, or you are a hobbyist, an enclosed garage armed with shelving units helps you to keep everything neat and tidy, while allowing you access to your belongings with a short walk to your detached garage. Organizing and storing things for later use also allows you to better organize all of your interior closets and storage areas. If you are thinking about remodeling any room in your home, one of the barriers to starting a remodel project is deciding what to do with all of the things in the way. If you have an enclosed garage, you can simply move all of the room’s furniture into the garage, temporarily, while the remodel is conducted. This allows your home to function as normal while the remodel takes place without crowding another room. The metal garage is also the ideal place to store any harmful products needed to complete the remodel, such as paint and power tools. Once the remodel is complete, you can simply move all of your belongings back in and then start on the next project. As we have discussed in previous posts, an enclosed garage can be the ideal place to use as an extra living space. If you have a room in your home that functions as a home office, gym, sewing room, and guest room, it can become a dumping place for everything that doesn’t have a home and can be a room that you avoid cleaning. Make your life and spring cleaning easier by using your enclosed garage as additional living space. You can free up the guest room by moving your gym or home office equipment to the garage. To help you prepare for spring cleaning this year, consider investing in an enclosed metal garage. At Wholesale Direct Carports, we have a wide variety of enclosed garages and metal buildings to choose from, as well as the ability to fully customize a metal building to meet your needs. Contact us to speak to one of our metal building experts today!